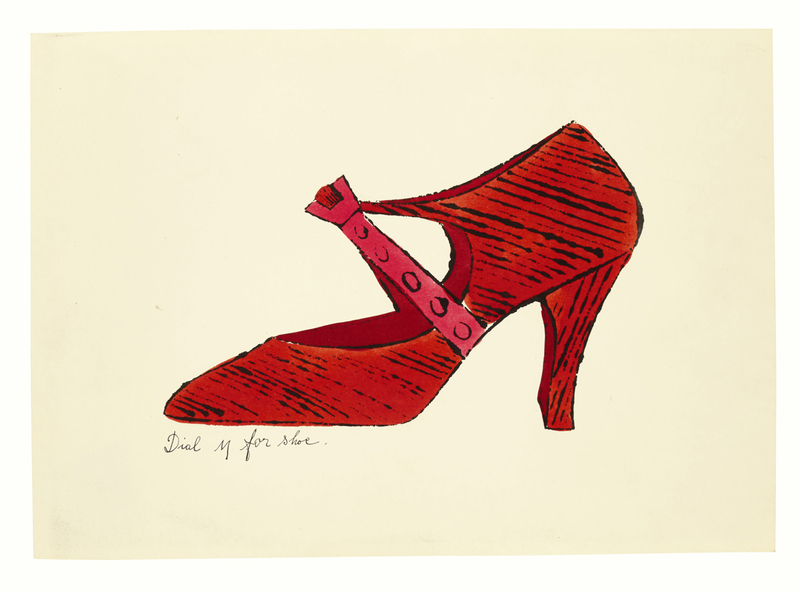 Andy Warhol’s early career as a commercial artist and illustrator is a well-documented precursor to his later artistic fame. 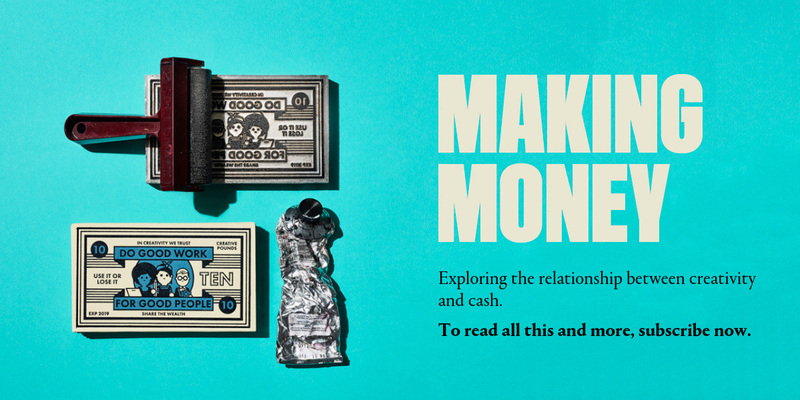 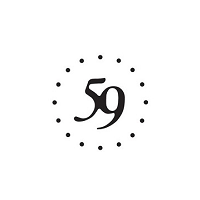 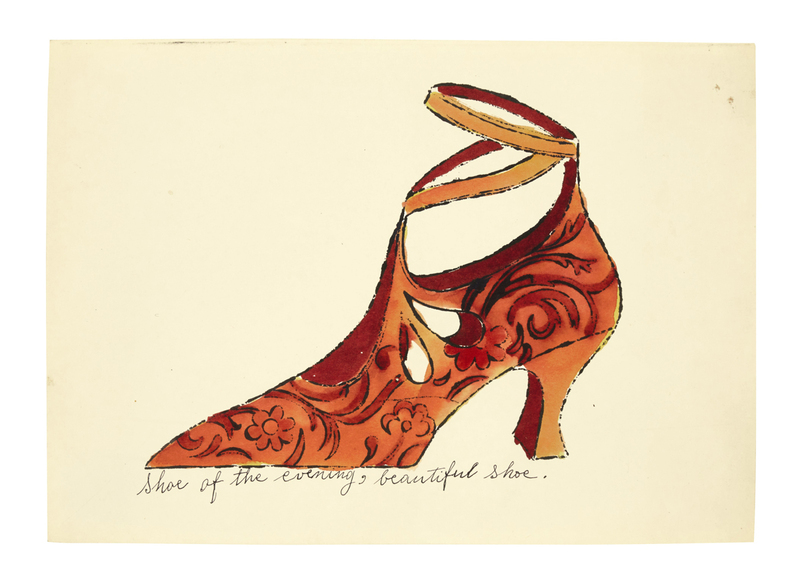 In 1955 he was commissioned to produce weekly ads for shoe brand I Miller to run in the New York Times. 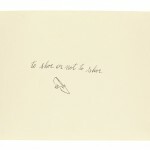 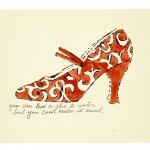 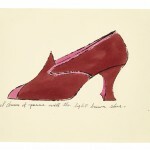 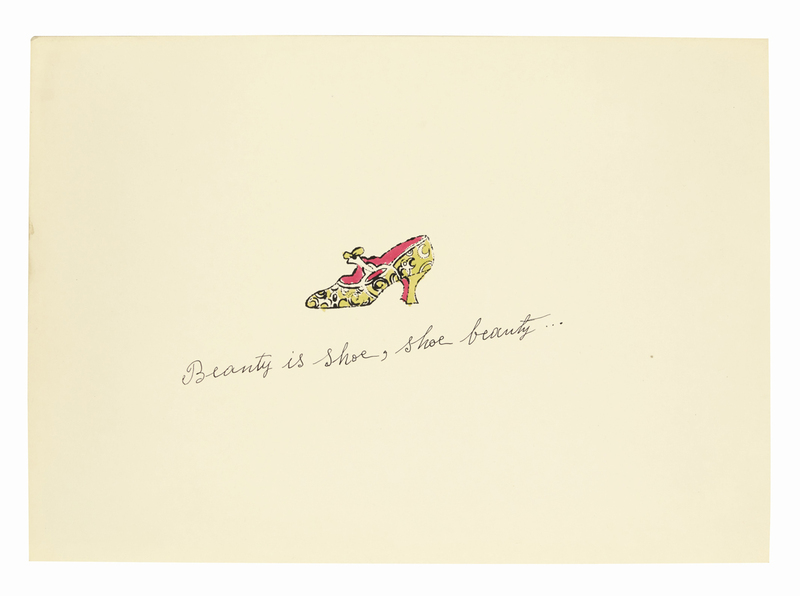 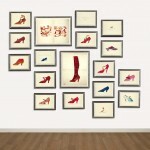 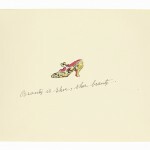 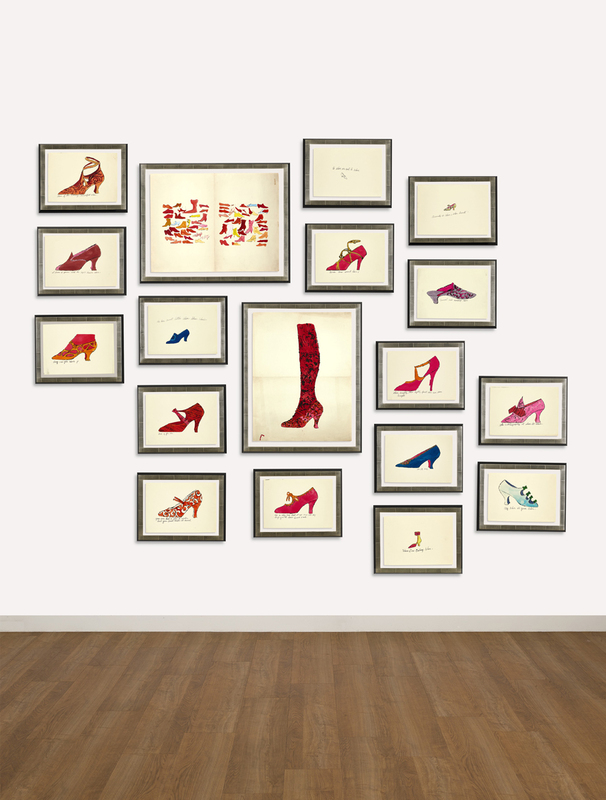 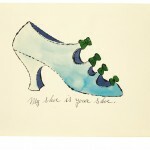 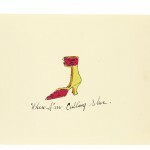 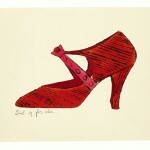 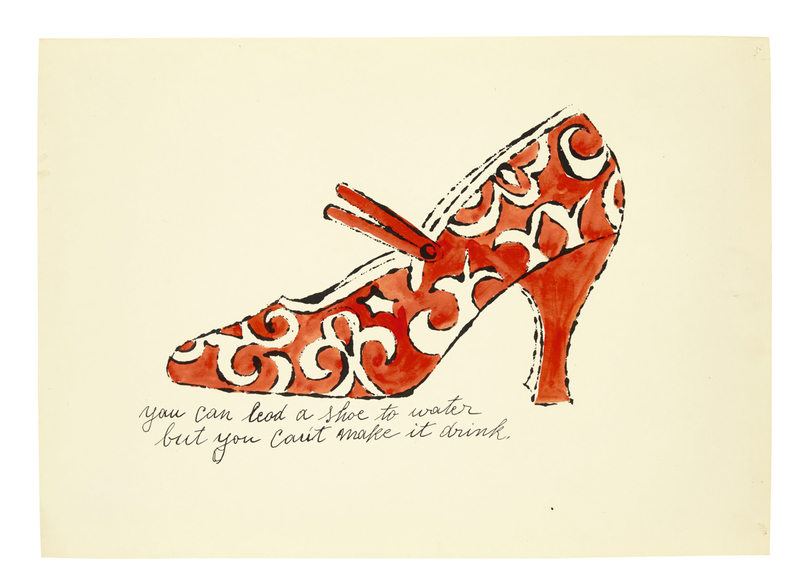 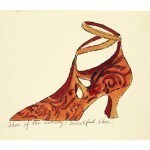 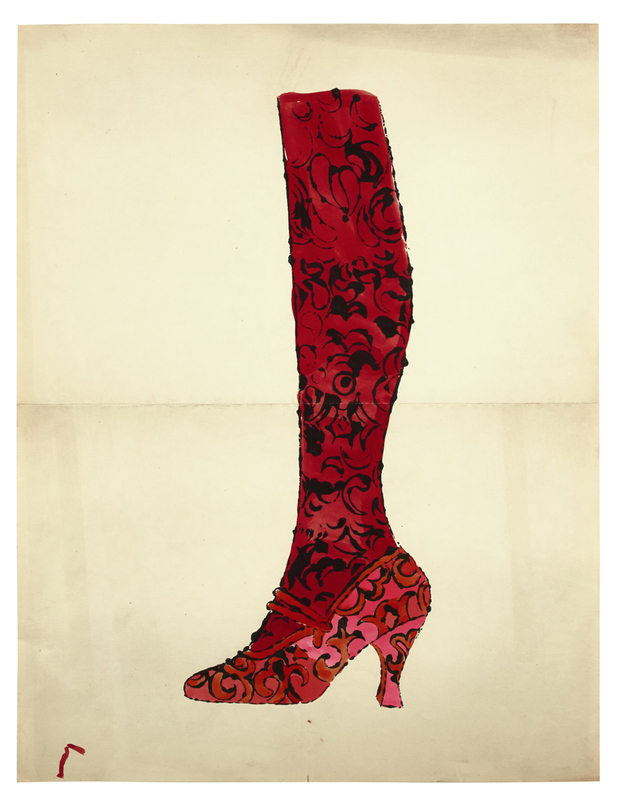 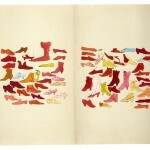 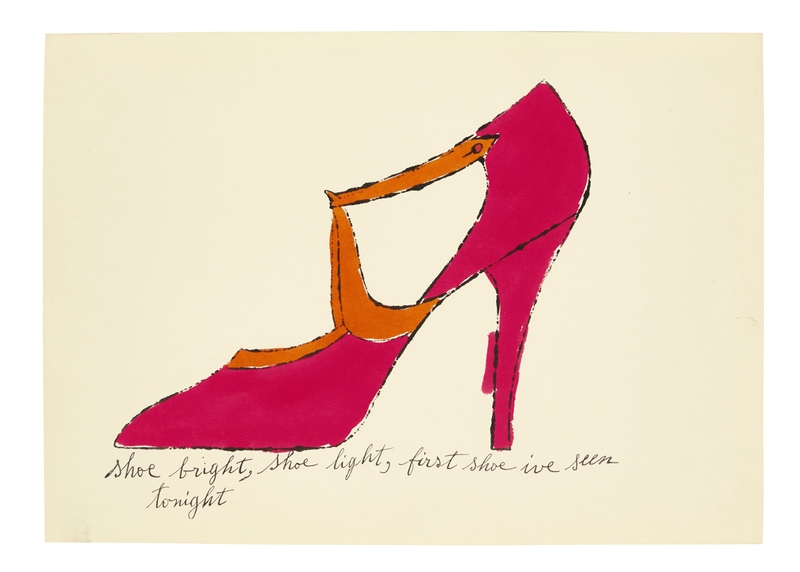 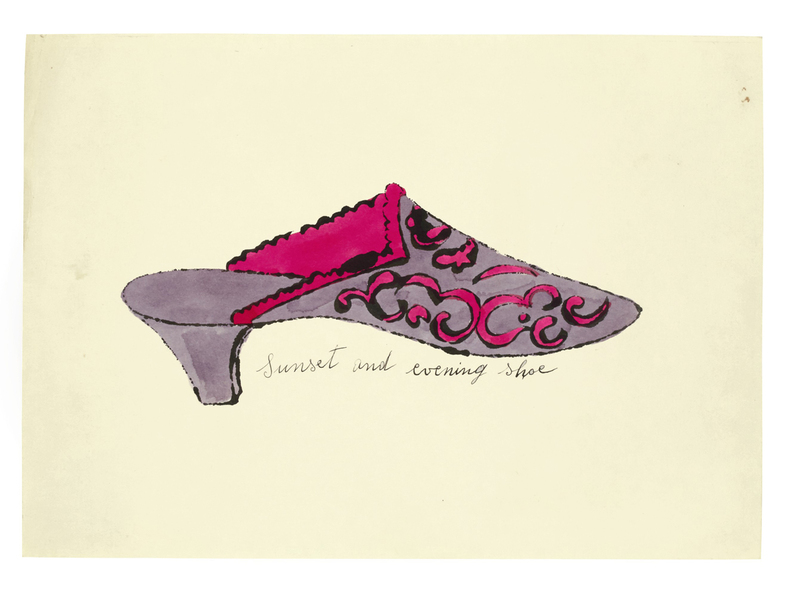 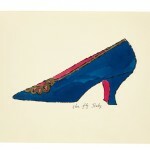 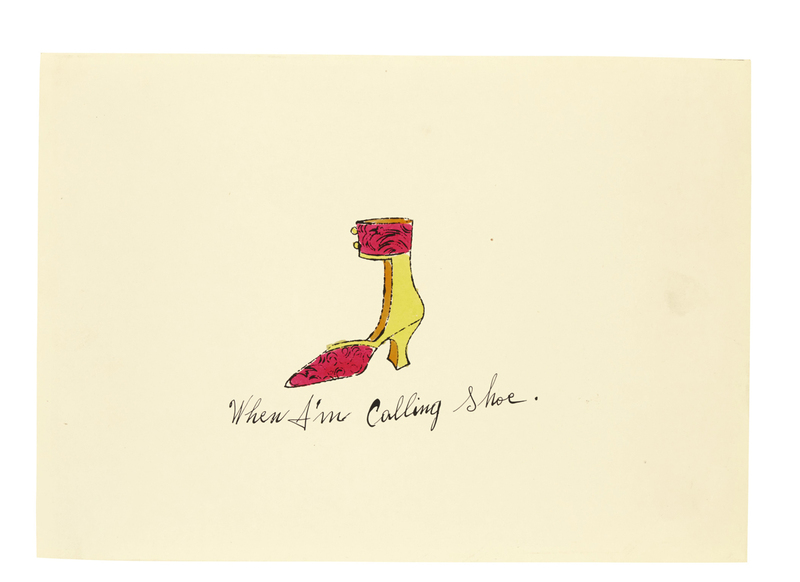 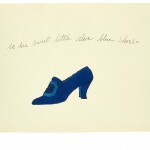 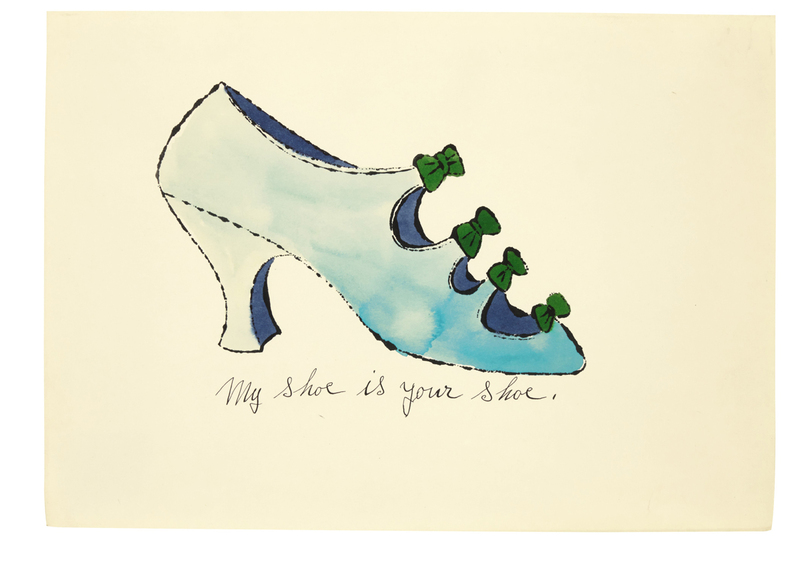 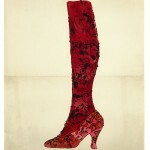 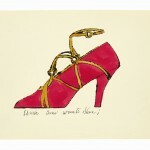 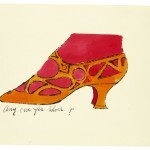 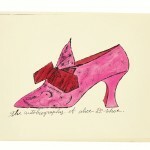 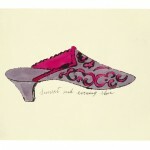 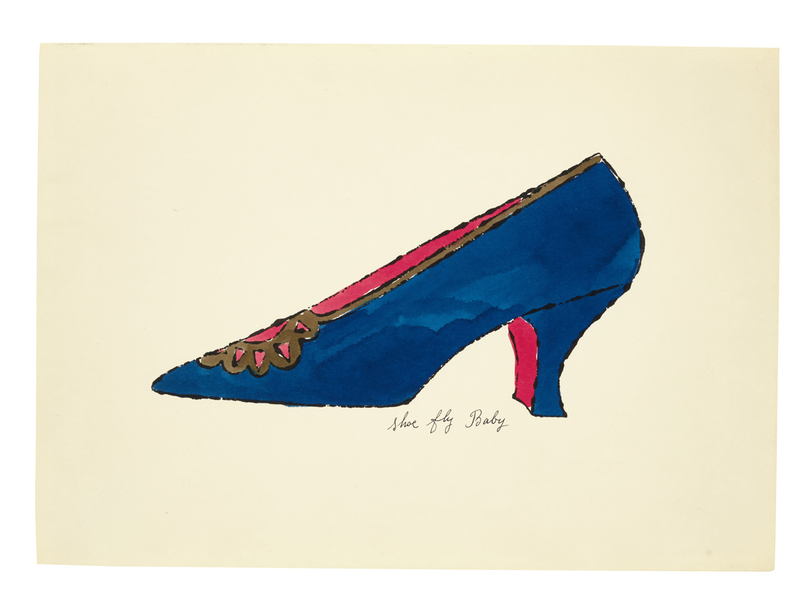 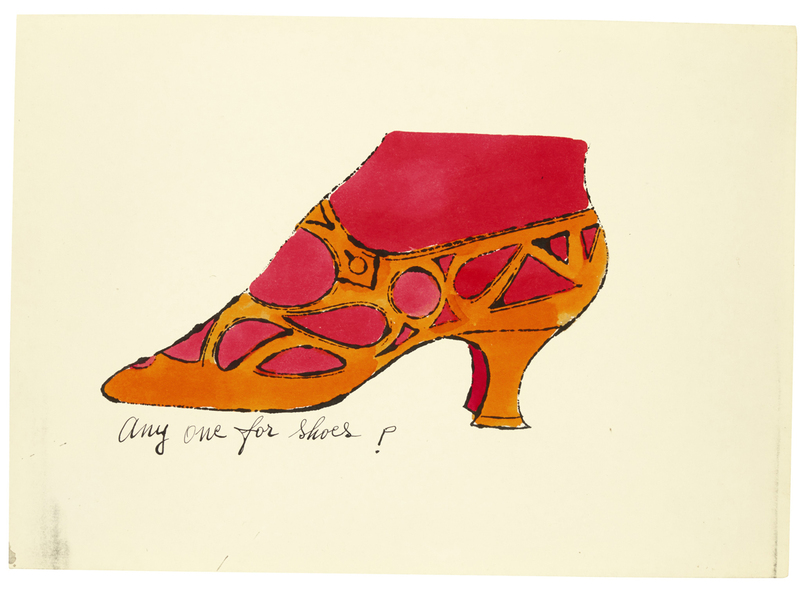 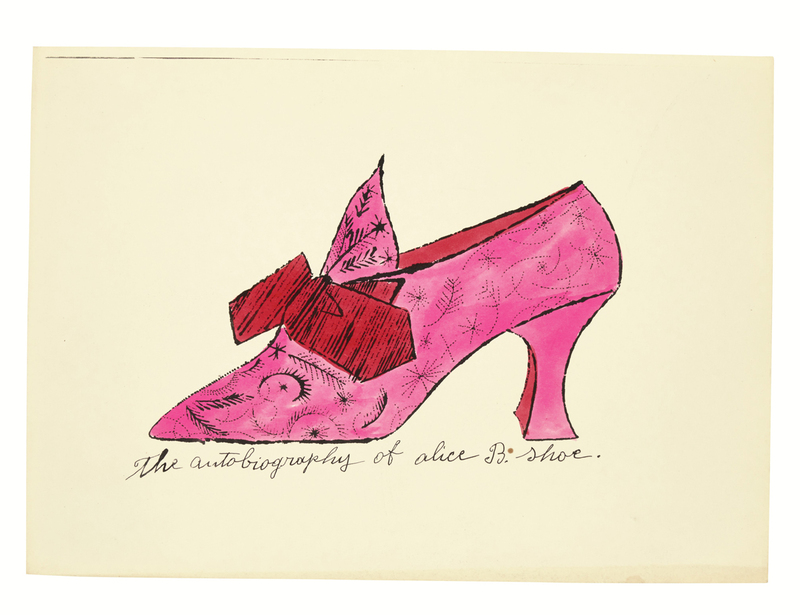 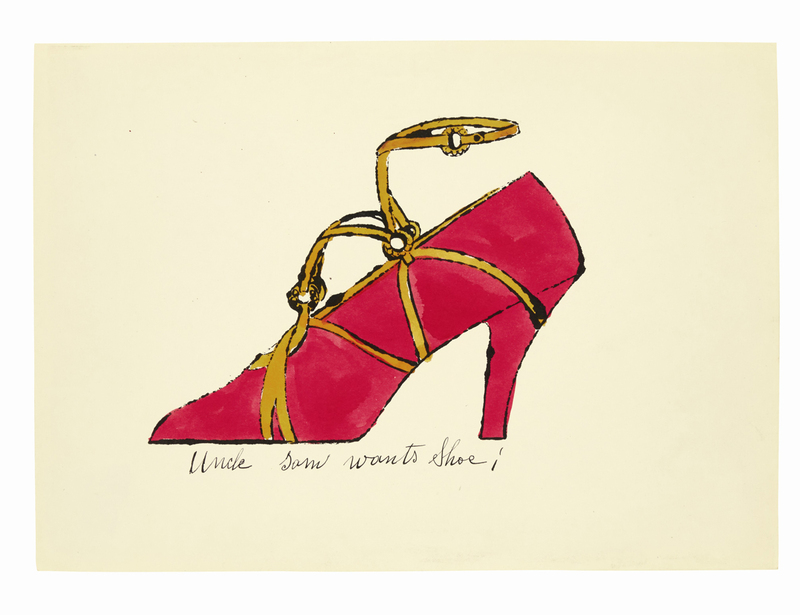 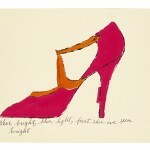 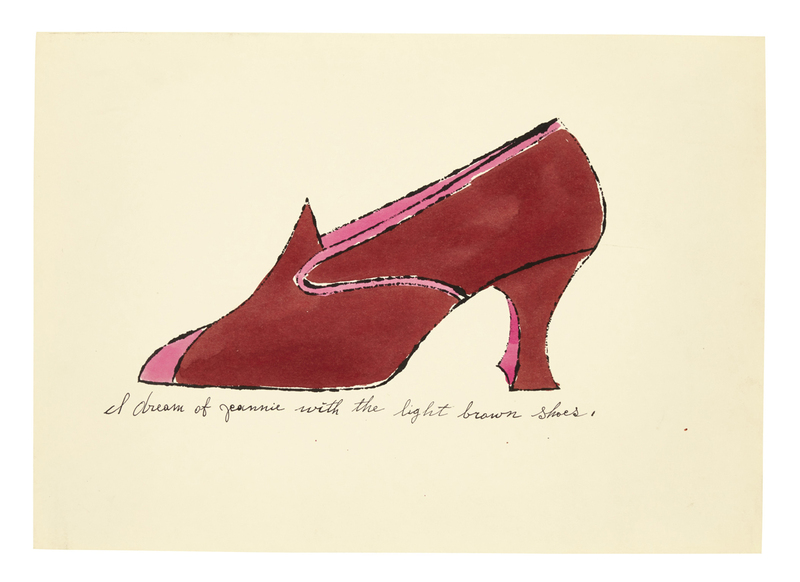 At the same time, Warhol produced self-published portfolio, prints and books of his own shoe designs. 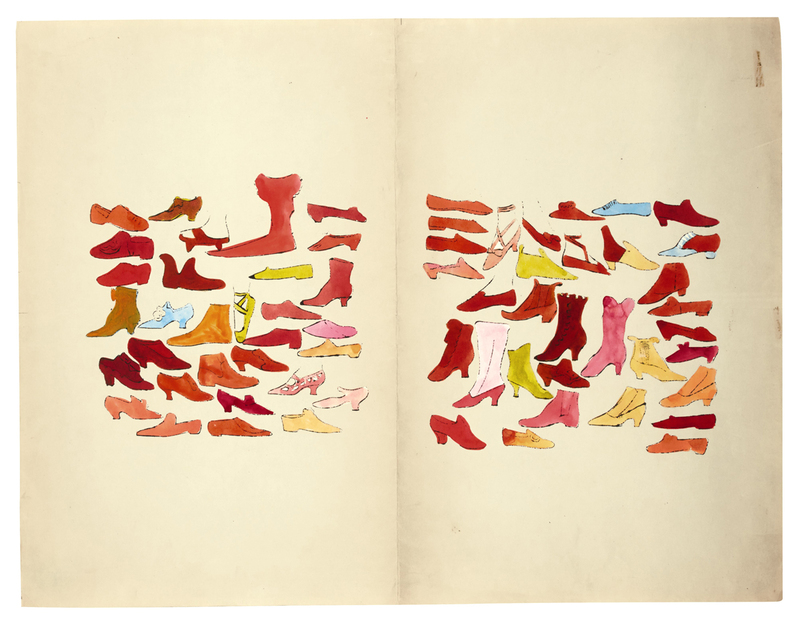 Warhol would enlist the help of his friends for ‘colouring parties’ to help him produce around 100 versions of each illustration. 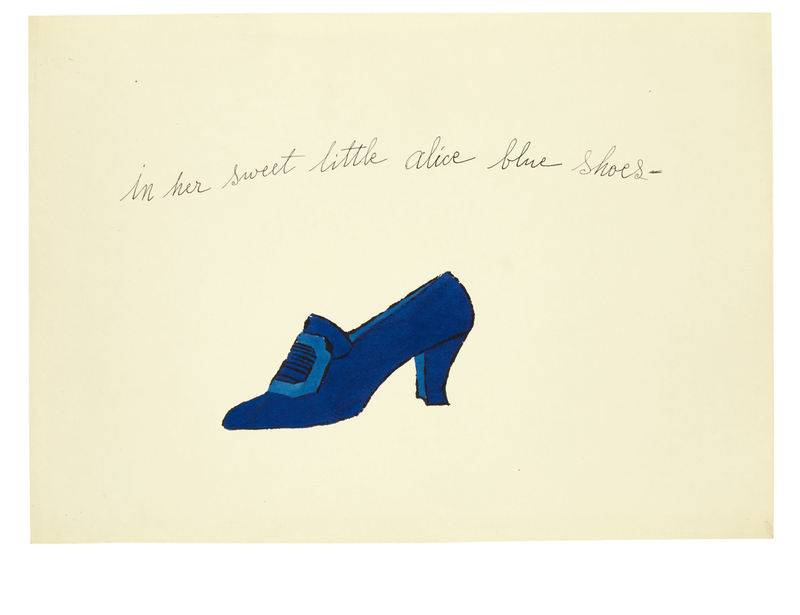 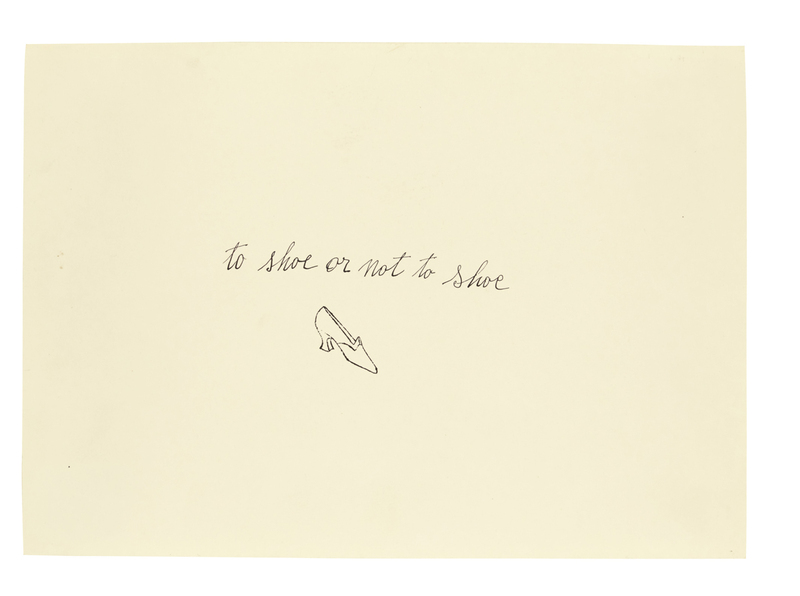 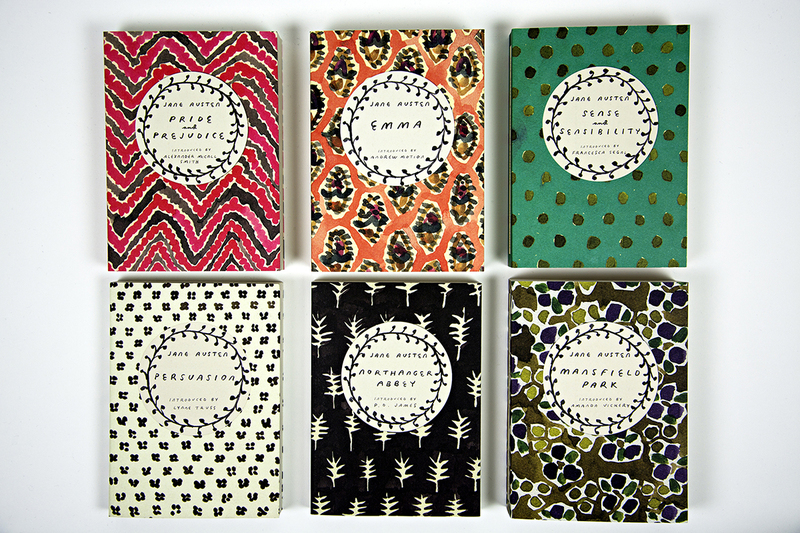 Captions, which often referenced popular culture, were created by the poet Ralph Pomeroy and written, in her distinctive hand, by Warhol’s mother Julia Warhola.